Plastic sheds/storage – If you need somewhere to store bikes, gardening tools, paddling pools etc. but don’t want to spend a fortune then there are some great plastic storage options available from places like Argos. If you already have a shed but not enough room to easily take things in and out of it then now is the time to get it sorted. Have a clear out and get rid of those things that the kids have grown out of or old garden furniture that are more like a safety hazard. Gardening – If you have a low maintenance garden then you might already be set up for safe games of football, hide and seek and whatever else. However, if you have plants, bushes, hedges and trees that you didn’t cut back last year then you might find you have a bit of a jungle to contend with! As well as looking tidier, there will be fewer injuries and less lost balls if you tackle the jungle before summer. You might even have trees or bushes that haven’t made it through the winter that you need to remove. And you might need to take control of any crawling ivy that has decided to invade various places before it starts damaging brickwork, annoying your neighbours or causing any other chaos. If you are looking for ways to make your garden less high maintenance then replacing grass with artificial grass is becoming an increasingly popular option. 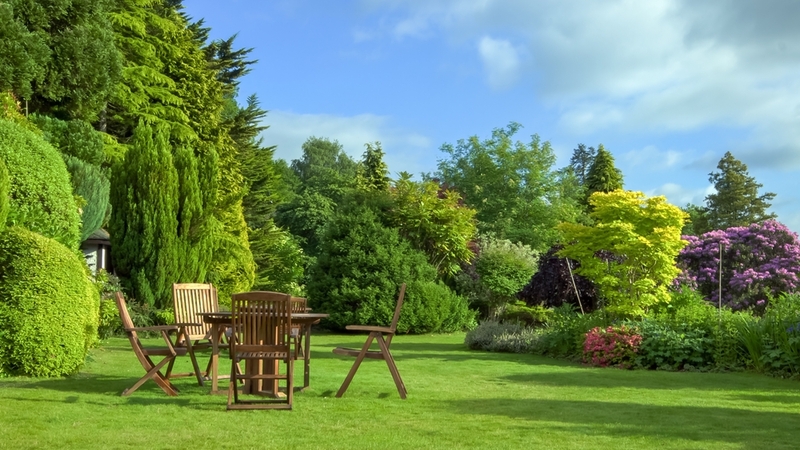 See here for some solutions that will remove the need to mow the grass every few weeks! Wood treating – Throughout the bad weather, your paintwork and the general outdoor area will no doubt have taken a bit of a battering. From damaged paintwork on your doorstep, to fences that need a coat of weatherproof paint to protect it, again this is the best time to get started with these kinds of jobs. If you have wooden decking that needs treating then you might need to pencil a weekend in for that one, or invite friends round for a decking painting party! If you have wooden seating or tables then you might find that they are in good need of a cleanup and a lick of paint before you try using them. Bike MOTs – If the bikes haven’t been used since last summer then they may also need a bit of attention. Rusty chains and flat tyres are common casualties of the winter months, so make sure you give them a check over before you plan any bike trips. Lots of bike shops offer check-ups where they will check your tyres, brakes, lights etc. and make sure that the family is already for any bike days you have planned. With the weather being so unpredictable, we never know when we might get a nice sunny day to enjoy in the garden, so make sure that yours is ready for spontaneous BBQs, mini football tournaments or even a bit of relaxing sunbathing if we’re lucky!